An organization’s Human Resources (HR) Department is critical to its success. Forsyth Tech can help equip your HR staff with the skills, tools and knowledge they need to effectively deal with human resource issues arising in your organization. Human Resources Management is a dynamic field, requiring professionals to remain knowledgeable about the essentials as well as becoming current on cutting-edge topics related to managing an organization’s most important asset: people! Forsyth Tech offers a variety of Introductory and Advanced HR Management course options for aspiring HR professionals who need a solid foundation on topics such as: compensation and benefits, employment law, recruitment & selection, employee development, and performance management. You may take these courses individually or you may wish to work towards our Human Resource Management Certificate. Forsyth Tech also offers advanced courses for the seasoned HR professional looking to stay on top of new trends and topics in the field and to maintain professional certifications like the PHR and SPHR. These PHR/SPHR Exam Preparation courses offer the most extensive and high-quality instruction available for HR professionals seeking the Professional in Human Resources (PHR) or Senior Professional in Human Resources (SPHR) designation. HR professionals know that their field constantly evolves. In order to be a strategic partner in your organization’s success, you must stay abreast of changing laws, best practices and innovative labor strategies. Certified HR professionals are required to recertify their designation every three years. 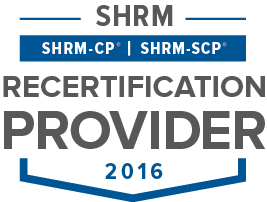 As a Human Resource Certification Institute (HRCI) approved provider, many of our courses qualify for recertification credit. If you have any questions, please call 336.734.7727. For more information about schedules, costs or to register call 336.734.7023.